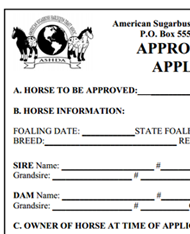 Want to Approve a Horse? In order to bring in much needed genetic diversity and LP expression, the Approved Cross program was opened. Light, Warmblood and Draft stallions and mares can apply to become ASHDA Approved Sires and Dams. If a mare or stallion is approved, they are awarded a lifetime approval to breed for ASHDA qualified foals. All horses to be approved must be conformationally scored by the registrar to determine if they are a suitable sire or dam. If a horse passes scoring, they must then complete a 5-panel test (registered stock horses) a 5-panel and JEB1 test (warmbloods, draft crosses and unregistered horses) or a PSSM1 and JEB1 test (registered drafts). All tests must have negative results for the horse to be approved. 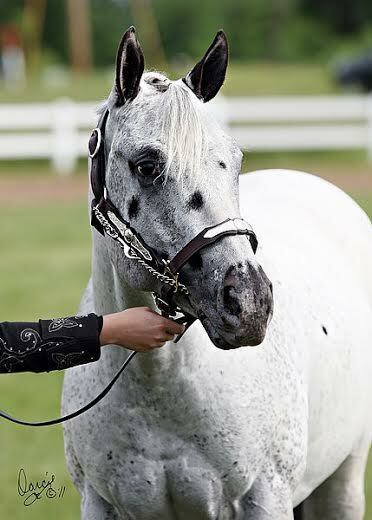 ASHDA is very careful on which animals we will accept as outcrosses and being accepted as an approved sire or dam is the mark that your horse is a truly exceptional animal, being both physically and genetically ideal as an ASHDA parent. Horses that produce superior Sugarbush Harlequin Draft offspring may qualify to win parentage awards and be spotlighted by ASHDA. Do you have a horse you think would make it as an Approved Sire or Dam? Contact our registrar and apply!